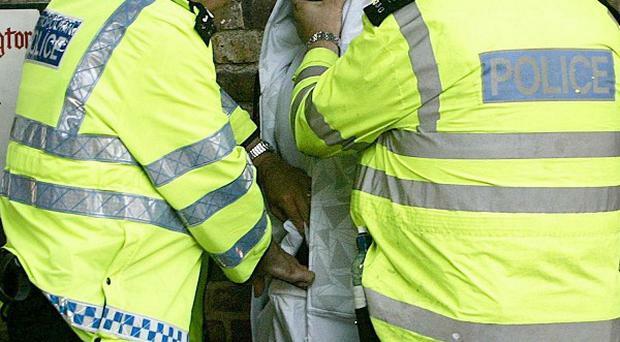 The impact of stop and search powers on ethnic minority communities is "shameful" and reform is urgently needed , the shadow home secretary has said. Labour's Yvette Cooper has called for an overhaul of stop and search powers, including a ban on targets for stop and searches being given to officers. Ms Cooper also wants current guidance on avoiding race discrimination replaced with legislation. Her intervention comes after claims David Cameron blocked plans drawn up by Home Secretary Theresa May to significantly curb the use of the controversial power. In a letter to Mrs May, Ms Cooper said: " This issue is too important to be kicked into the long grass. "It goes to the heart of people's trust in the police and the misuse of stop-search has the potential to undermine effective community policing. "I hope that you will not give in to the Prime Minister's opposition to change. "Everyone agrees that the police need to have powers to stop and search individuals suspected of crime or to prevent a serious threat. Intelligence-led targeting of suspected criminals helps to cut knife crime and youth killings. "However, while targeted action helps cut crime, the reality is too many searches are not targeted at all." She added: "We know that only a small proportion of searches lead to arrest and hundreds of thousands of searches each year currently lead to nothing but resentment. "That resentment is creating barriers between communities and the police, particularly in the ethnic minority communities that are most affected - that's bad for innocent people regularly and unfairly stopped, bad for the police because it's an expensive waste of time, and bad for community safety because it undermines the relationships we all rely on." Ms Cooper alludes to figures that show 27% of the 8,783 stop and search records reviewed by HM Inspectorate of Constabulary between October 2012 and April 2013 did not include sufficient grounds to justify the lawful use of the power. And young people in ethnic minority communities are seven times more likely to be stopped, likely to feed back into negative perceptions of policing, she said. The shadow home secretary also calls for section 60 stop and searches, which can be conducted by a police officer without suspicion. to be more tightly restricted. A Home Office spokesman said: "Nobody should ever be stopped just on the basis of their skin colour or ethnicity. "The Government supports the ability of police officers to stop and search suspects, but it must be applied fairly and in a way which builds community confidence. "This is why we consulted over the summer on the powers of stop and search - and we received a strong response. We will respond to the consultation in due course."